I Can't Get Rid of Lice!! How They Reproduce and Spread?? If you are experiencing the horrible sensation of something crawling over your scalp that causes itching and irritation, you should check for lice. These crawling sensations are often exacerbate by sweating and may also affect your sleep or concentration to work during the day-time. The most frequently asked question from people suffering from this condition is why I can't get rid of lice and what I should do. In this article we will discuss how lice spread and reproduce so as to know how to get rid of lice. Head lice are also referred to as Pediculus humanulus in sophisticated medical terms. The history of head lice is very ancient and has been recorded form the era of Pharaohs. Head lice are small parasitic organisms which feed on the human blood and scalp nutrition. The life cycle of head lice starts from the attachment of egg on the head scalp by a female louse. Approximately after 10-12 days of attachment the egg hatches out and become a nymph. This nymph takes about 7-10 days to become a blood-sucking adult louse. A female louse has an ability to lay about 6 eggs per day. ● Head to head contact with person with lice on head. ● Mutual sharing of personal stuff such as towel, hair brushes, helmets etc. 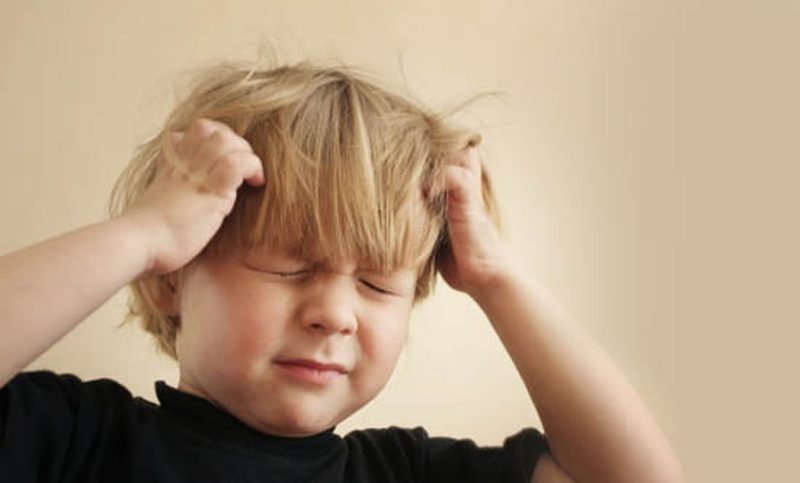 ● Head lice are usually not transmitted through animals so they can play them without any worry. ● People with short hair have equal chances of having head lice. According to the new research, lice do not look for hair length and hair types. These parasites attach themselves with the hair first and then to the scalp, from where they get the nutrition to grow and multiply. Many bothered and desperate people scream: "I can't get rid of lice". Indeed, getting rid of lice is a time-consuming process that requires utmost dedication. This is mainly because, mature lice are much easier to catch, but the eggs (also called nits) are one of the leading causes of chronic lice infestations and recurrent flare-ups. ● At home, make sure to wear thin fabric old clothes and carry out the application in bathroom (or isolated place). ● Apply it over the head according to the instructions on the label or pack. ● Leave it on for the given period of time (usually 1 hour) to avoid damaging the scalp skin and hair follicles. Then clear off with water without shampoo. The best results can be obtained by using wet comb method with these lotions and sprays. These sprays and lotions cannot remove all lice or their eggs on their own because the products' application duration and length vary from person to person according to hair length, thickness and density. The application time varies from minutes to hours. If results are not satisfactory they can be applied again after a week. According to CDC fumigant sprays must never be used on scalp as they can produce toxic effects if inhaled or enters into systemic circulation. ● Divide the hair into 2-3 sections, place the nit comb over the scalp surface and slowly move it towards the tips. ● Place the nit comb in a bowl filled with lukewarm water to kill the lice as they cannot survive without nutrition source. ● Repeat this procedure 3-4 times a day. ● After using, sanitize nit comb in hot (boiled) water for 5-7 minutes. By effectively using this method, you won’t ever say “I can’t get rid of lice”. ● This method is simple and widely used for the removal of hair lice. This method does not include any medication. Wash the hair with ordinary shampoo, rinse out and put on lots of ordinary conditioner. First use normal comb to remove all tangles and then switch to a detection comb. ● Wet combing utilizes a fine-toothed comb, which is placed over the scalp and is then moved outwards taking out all the live and dead lice along with their eggs. This method works so effectively because of the narrow space present in between the comb tooth, approximately 0.3 mm between each tooth. Heat treatment method is expensive and requires the expertise of a trained professional. Drying out of lice is the main method as lice cannot survive without nutrition and are killed in presence of high temperatures. ● Heat half cup of extracted neem oil or melt half cup of coconut oil and massage it over the scalp with finger because they possess beneficial antibacterial properties. ● Apply some oil on hairs then comb hair with nit comb; this will clear off the hairs more efficiently. ● Mix equal proportions of water and apple cider vinegar, pour this solution over the scalp and rinse with water. ● Take 5 drops of essential oil and mix it with 1 ounce of water. Spray this mixture over the scalp. Some of the common essential oils include rose oil, lavender oil, jasmine oil, etc. Lice can be easily spread from one person to another. Therefore, it is essential to check every family member for head lice and if present, get rid of them by the above mentioned techniques. If the lice problem does not go away even after using shampoos, then consult to a specialist for prescription of effective medicine. ● Change bed coverings at regular intervals and clean them with detergents before using heat for drying purposes. ● Place all the stuff toys (non-washable) away from the children as they can also be spread through toys. ● Wash hair brush and comb on regular basis.